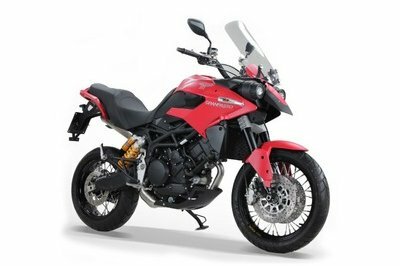 Derived from the Multistrada 1200 S Touring, the Ducati Multi Strada S 1200 S Granturismo is ready to deal with any kind of trips and was especially designed to be both comfortable and practical. 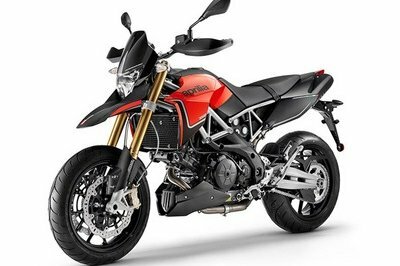 The bike features the DSS (Ducati Skyhook Suspension) active suspension system which comes with three configurations including S Touring, S Pikes Peak and S Granturismo. As far as practicality goes, the S Touring is equipped with spacious 58-litre side panniers, centre stand and heated grips. You’ll also find a large glove compartment with push-push lid up front in the right panel and a roomy (over 3-litre capacity) storage compartment under the passenger seat. 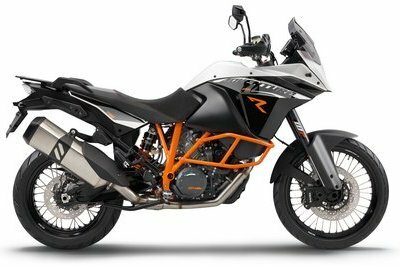 Power comes from an L-Twin cylinder, 4 valve per cylinder, Desmodromic, Dual Spark, liquid cooled, 1198.4cc engine that churns out 150hp @ 9250rpm and 124.5Nm of torque at 7500rpm. The engine is mated on a six speed gearbox with the final drive ratio being designed for fuel efficiency and increased comfort with less vibration. 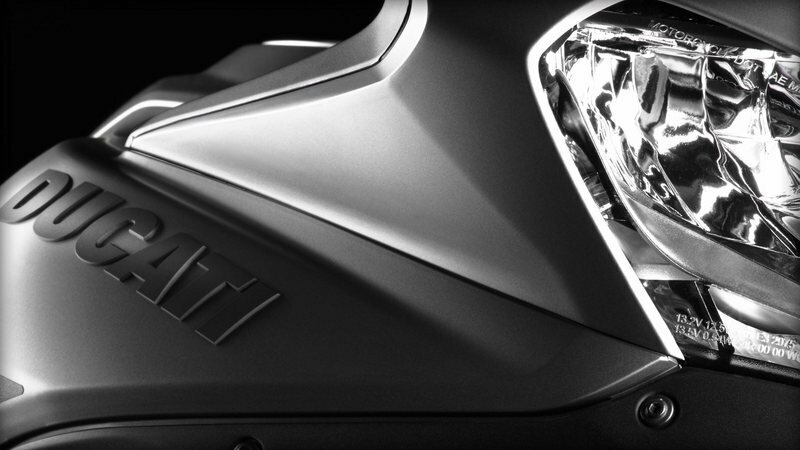 Hit the jump for more information on the 2013 Ducati Multistrada 1200 S Granturismo. 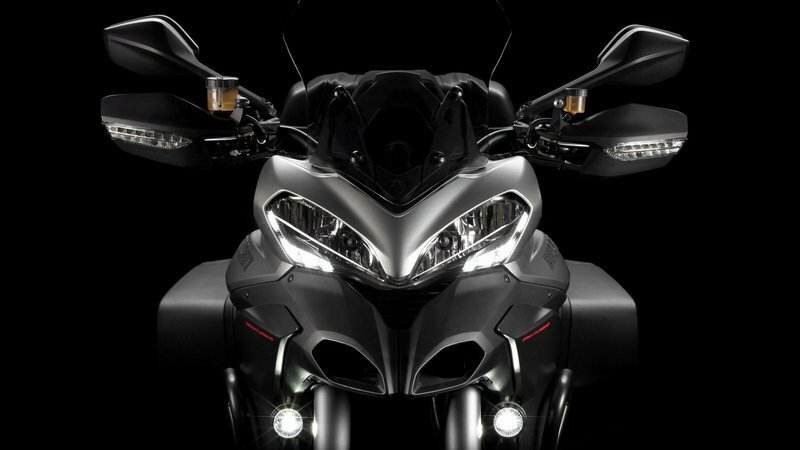 The S Granturismo embodies the touring spirit of the new Multistrada to perfection. 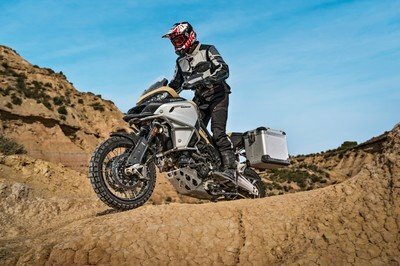 73-litre panniers, top case and Ducati Skyhook Suspension (DSS) have been combined with even more touring-oriented ergonomics to engine protection bars, to provide an optimal set-up whatever the riding conditions. The goal: to tour the world. additional inputs to maintain overall vehicle composure for a smoother ride. 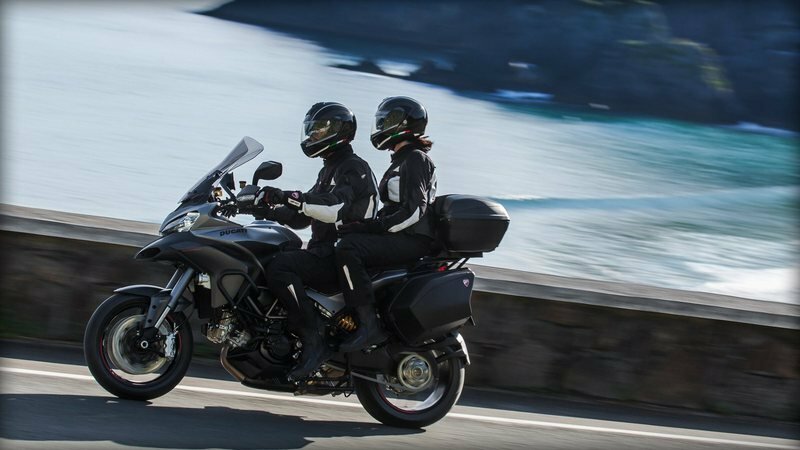 On the Multistrada 1200 S Granturismo, comfort over long distances is enhanced by the extra comfort seat designed to help the rider enjoy long hours of riding thanks to the ergonomic riding position and the passenger seat with backrest integrated in the top case. Red contrast stitching adds a sporty touch. The accents on the wheel rims and the ""Granturismo"" logo on the front fairing are also red. The S Granturismo offers improved side lighting thanks to supplementary LED lights with fog light function accommodated in a die-cast aluminium casing and controlled by dedicated switchgear installed on the handlebar. The supplementary lights make the S Granturismo more visible in traffic and provides improved visibility on poorly lit roads and under adverse weather conditions when visibility is low. 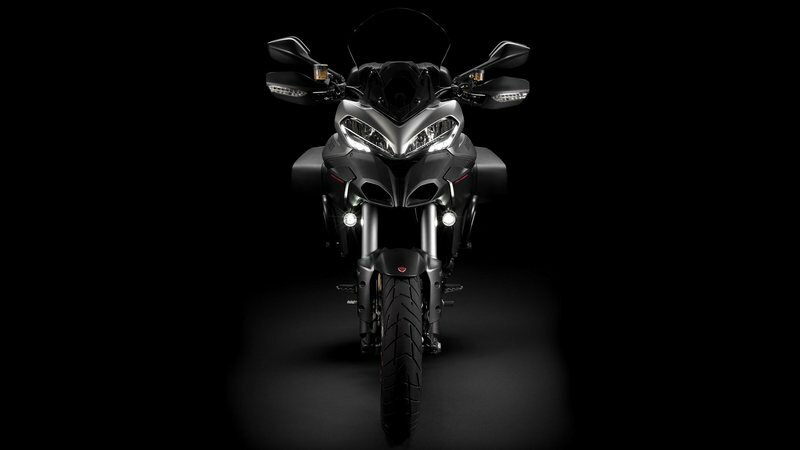 In line with its touring soul, the Multistrada 1200 S Granturismo is equipped with the new Pirelli Angel GT sport touring tyre that provides the utmost performance and ground breaking mileage. An in-depth study of compounds and carefully designed groove geometry and arrangement make for superior wet performance. 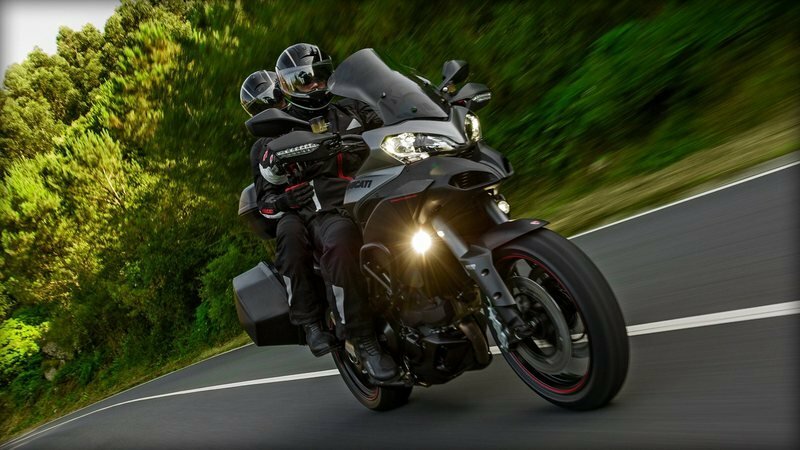 In order to ensure sufficient luggage capacity for rider and passenger on long trips, the S Granturismo is equipped with larger side panniers (78 I) and top case (48 I) with passenger backrest, coupled with the comfort seat for comfortable riding position ergonomics. Side panniers and top case feature a scratch-resistant black embossed finish and a red Ducati logo. The luggage equipment is complemented by rainproof soft bags to make loading/unloading luggage easier. 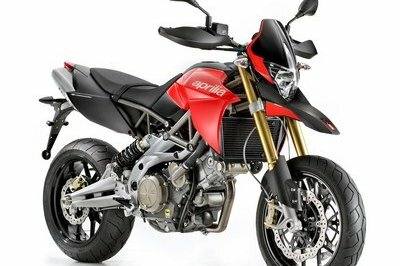 The new Multistrada 1200 S targets those customers who want to enjoy the sport performance of the Multistrada 1200 on long trips with a passenger. The standard equipment offered on the S Granturismo makes for increased load capacity and comfort and includes: larger side panniers (73 litres), top case (48 litres), soft inner liners for side panniers and top case, comfort seat for rider and passenger, 20-mm raised handlebar, supplementary LED lights, oversized windscreen, engine crash bars, tank protectors and Pirelli Angel GT tyres. With its touring setup and the sport performance of the new Testastretta 11° DS engine, the Granturismo comes ready to travel the world.